Our farm is located on 60 beautiful acres! 4 "mud lots" open up to the 4 separate, larger pastures. We mow, and fertilize these fields. Horses are kept off of them 2-3 months in spring. This gives the pastures a good jump start at growing PLUS prevents any of the horses eating the high sugar in the new spring vegetation. Horses who have foundered in the past, are watched, but get along just fine with our slow intro to more mature pasture. It takes us a minimum of 4 weeks to transition the herds from hay/grain, to an almost exclusive pasture diet. They thrive on it and are a joy to see, peacefully grazing. There are 3 separate barns, all with running water, their own tack rooms, (one is heated and has a bathroom with hot/cold water). All of the box stalls are 10x12, (2 of these stalls have removable dividers for foaling), stalls also have windows, aisles are 12 feet wide and concreted. We have many sets of cross ties, and an outdoor wash area with a hitching post. 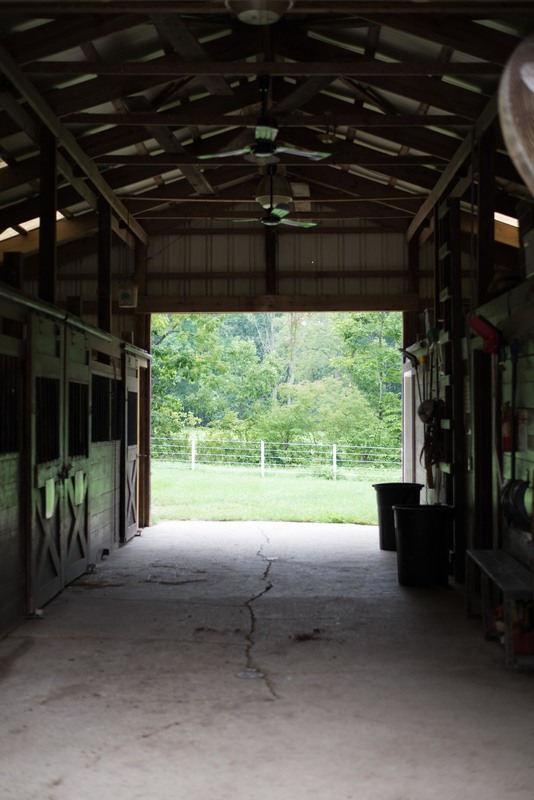 There is a 50 ft solid walled round pen, 60x110 indoor arena, 75x120 outdoor, trails you can ride on, as well as a mowed path around one of our larger pastures.